The Estonian biocentre needs to be commended for all the high quality work it's been doing. It's really leading the way in the study of extant european groups. The Finnish historian Matti Klinge claims that the ancient N-European etnonym "Vaner"/"Vender"/"Wende" - parallel to the Roman terms "Venedae", "Venedi/Veneti" and "Vandali" - was a common name for all the natives inhabiting the eastern coast of the Baltic Sea, from Poemeria and the Vistula Veneti to kVenland, the northern part of present Finland. This endonym may correspond to the exonym "Sarmatian" - known from Greek and Roman sources (Tacitus). The existence of the uralic-speaking Wends is far from clear, since the slavification of eastern and central Europe - after the christianisation - have covered the roots of the old, uralic-speaking wends along the southern tiers of the Baltic Ocean and the northern parts of todays Belo-Russia and Russia. The lingual change within northern Russia came about around the 12th century - and untill the 13th century the people of northern Lativia were still called Wends, Vends or Venedae. The Lativian city of Wenden is still existing as a remniscent of these times. The "slavic expansion" is - in other words - not a demic but a cultrual diffusion, initiated and ran by the powers that came to run the trade and politics of and around the Black Sea. 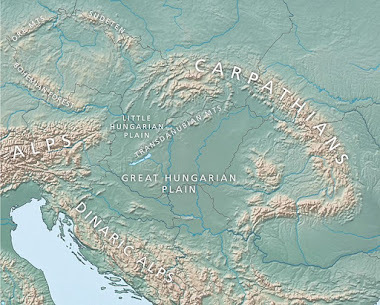 What started off as the trade-routes of the Hun/Ouan/Van/Vene/Vendic peoples (aka Skyti/Sarmati) north of the Black Sea, changed during Roman times to the Bulgarian Empire, whose vendic roots came out of the eastern part of Sarmatia/Skytia - i.e. the Volga Bassin and the NW part of the Caspian Sea. As the Bulgarian empire merged with the Greek (Eastern Rome, Konstantinopel) the new lingua franca, Slavonic, would spread - together with the Greek Church - all along the trade-routes between the Black Sea and the Baltic Ocean. Such as Dnjepr/Bug/Vistula, Djeprs/Dvina, Donau/Wizla and - finally - via the Volkov river to Lake Ilmen and the northern centre of trade between Asia and Europe, at the "Pontus" between Lake Ladoga and the Finnish Bay. As the genetical analkyzis seem to confirm the old history, we may come to view the 'slavic expansion' as an effect of a merge between the old uralic populations (Sarmatians aka Wends aka Venedae aka Ouns/Huns) into the new empire, trade-union and information-system ('church') around the Black Sea - based in Konstantinopel. When the Vatican crusaders later came to invade Pomeria, Sweden, Finland and the eastern Baltics (1050) it was a direct assault on the already established trade-union of the eastern Empire - which made the Greek and Roman empires (churches) split (1054). This left the western and already slavicized wends - of Pomeria, Samland, Samogetia and Latvia, as well as the still uralic-speaking Hungarians, Estonians, Finns and Carelians, to be ruled by the catholic empire and the latin language, rather than their own. Does there exist a latvian tested for ANE WHG and ENF admixture(West Eurasia K8)?